Heterojunction solar cells are demonstrated employing spray pyrolysis-processed nano-clustered cadmium telluride (CdTe) on DC-sputtered amorphous silicon (a-Si) as p- and n-type layers, respectively. CdTe and a-Si films were subjected to X-ray photoelectron spectroscopic measurements showing Cd 3d (404.9 eV) and Te 3d (575.8 eV) peaks corresponding to CdTe while the peaks Si 2p (98.3 eV) and Si 2 s (148.3 eV) represent a-Si. Heterojunction solar cells with a stacked structure of FTO/a-Si/CdTe/Al resulted in a photo-conversion efficiency of 2.7% for an optimized thickness values of a-Si (1 µm) and CdTe (6 µm) films. 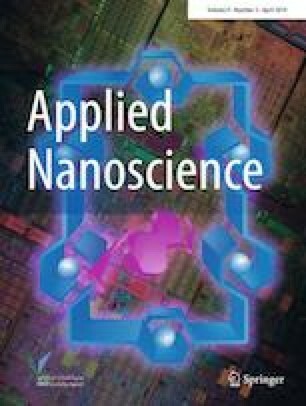 The authors would like to thank Amrita Center for Nanosciences for establishing cluster PVD equipment through industry support for processing various functional materials for energy harvesting applications. The authors declare that there is no conflict of interest in the present work.